The last time you or a loved one was ill, where did you turn first to better understand their illness? Most people will answer: the internet. 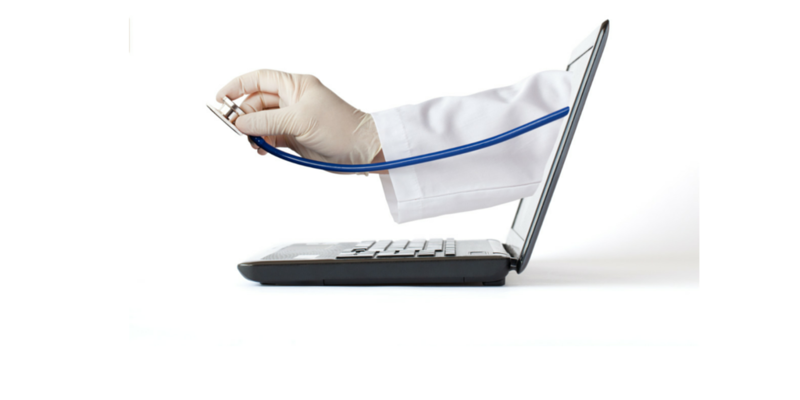 In fact, more than 85% of people with online access will seek health advice on the web. Why? Because the resources are endless, easily searched, and always available. But it is not just patients searching information from medical experts; New social networks are facilitating conversation between patients as well as connecting the doctors to each other. Overall, the results have been well received, but like all things online, there is still some risk. WebMD was launched nearly 20 years ago. By 2007, it became the most visited medical website. Today it hosts a variety of articles about illness as well as medications and new findings. Their main draw is a symptom application that allows you to fill in your ailments resulting in a list of possible conditions you may have. On the up side, it gives a lot of people piece of mind when they discover they have heart burn and not a heart attack. On the down side, it has sent way too many people in to a panic about something they do not have. In the wake of the popularity of WebMD and social networking, the medical community has begin to create its own communities, pages and resources. The Mayo clinic runs Social Media Health Network, whose mission is to assist medical staff by engaging in safe and helpful practices with Social Media. The CDC uses their social media channels to advise about current outbreaks or findings. All this means more information for the patient. Once you decide to search symptoms or ailments online, you are also adding this information to your digital identity. Is it safe? Though you can delete cookies and search history on your own company, the search engine company (ex. Google) does have a record of what you have searched. That should never be made public but there is always a risk of that information becoming available. Tip: If you are searching information to do not want tied to you personally, use a search engine that does not track you or the private browsing feature on your browser. Each country has its own act to protect patients information. For instance, Canada has the Personal Health Information Protection Act and the UK has the Data Protection Act. Like all terms and conditions, the user who agrees to use a site is agreeing to the terms from the country of origin of the service, not their own country. Most of the medical sites available originate in the US and thereby fall under HIPAA (Health Information Portability and Accountability Act). All of these acts protect the patient’s confidentiality, even when information is submitted electronically. What is nice about this is that if your doctor sets up a website or you use an online service under the act, you can be sure that your information is safe. What is risky here is that if your site is not compliant, your information is available to advertisers and other companies. Tip: Be sure to check that any site you are using has terms that refer to a Privacy act or is URAC accredited, which means it is a certified healthcare site. The best thing social networks have given us is connection to like-minded people in a global space. We can now use this from a patient’s perspective. I am sad to admit I know too many people, or people’s children, with rare conditions. In addition to dealing with the actual illness, these patients and their families used to also have to live in isolation. Now people use Facebook groups, websites and even niche networks like PatientsLikeMe to find other people in the same situation. They form support groups, share stories about new treatments and provide lists of medical professionals who can help. Additionally, countless studies have shown that people will value the opinion of a friend over other sources. If someone on your network recommends a diet that works for them or a dentist they love, you are much more likely to try that suggestion than one in an ad on the side of your screen. On the flip side, if someone thinks your indigestion pains sounds like their gallbladder attack or if they see a ‘medical journal’ online with incorrect information, this misinformation can also go viral or be taken as advice. Tip: If you are uncertain about the validity of a medical report on a news channel, check Snopes. In a professional world, it is always great to get the feedback and input from other colleagues and experts. There are a myriad of networks that cater specifically to medical professionals for shared information and support. The biggest network is Doximity. Coined the ‘LinkedIn for Doctors’ Doximity boasts a membership of nearly 50% of doctors in the US. This has allowed doctors to find specialists for rare cases and get valuable input on treatment for a patient. The latest studies show that 88% of physicians use the internet to research pharmaceutical, biotech and medical devices. This means opportunity for care that the doctors may have otherwise not known about. The doctor-to-doctor networks are all bound by the same privacy acts as their practice. Unfortunately, when they do share this information online, there is always the risk of a breach. In summary, social networks are allowing patients access to better care and better support. Be sure to protect your information and only share where necessary.